They apparently love America a whole lot at Kensington's Old Philadelphia Bar. Earlier this week, we brought you the story of a Kensington corner bar that drew quite a bit of attention because of a "IF YOU'RE NOT PROUD TO BE AN AMERICAN, DO NOT BOTHER TO COME IN" sign on its front door. 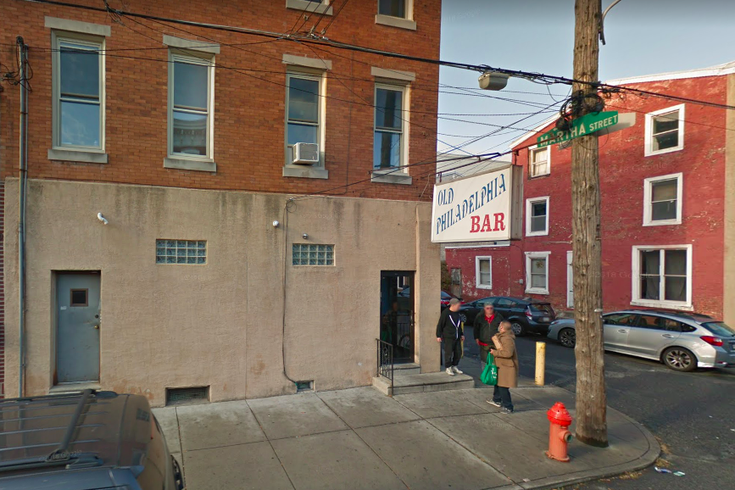 The Old Philadelphia Bar, at East Dauphin and Martha streets, is a standard Philly dive bar complete with boasts of the best "Philly special" beer-and-shot deal in town. The signage was more of a warning about the ambience and clientele inside than the denial of services to those with different political leanings. We put in a call to the bar to discuss the controversial sign on Monday, and on Thursday, the owner Bill Shaw got back to us to discuss it and crack some eggs of knowledge regarding his take on patriotism and his fellow Americans who view it through a different lens. Shaw, who said he's owned the bar for 41 years and lives upstairs, said the lettering went up many months ago. As such, he was surprised about the recent uproar. His impetus plays squarely into this week's friction between the Philadelphia Eagles and President Donald Trump, who revoked an invitation for the team to visit the White House on Tuesday. "I put it up because I was tired of people disrespecting our flag and our country while still collecting benefits from the government and taxpayers," he said Thursday morning. He continued that it was a shame that the Eagles players did not, as a full team, take Trump up on his offer. The decision, in his estimation, made them "spoiled millionaires," who should've had the maturity to set political grievances aside. Shaw was asked whether he had any other messages to send to the team. He paused for a few moments before sharing one. "They should give the President a chance," he said. "They've done nothing but bad mouth him. Nobody's perfect." As for the reaction to the attention brought on by the sign, he said it's been mostly positive in and around his Kensington taproom.